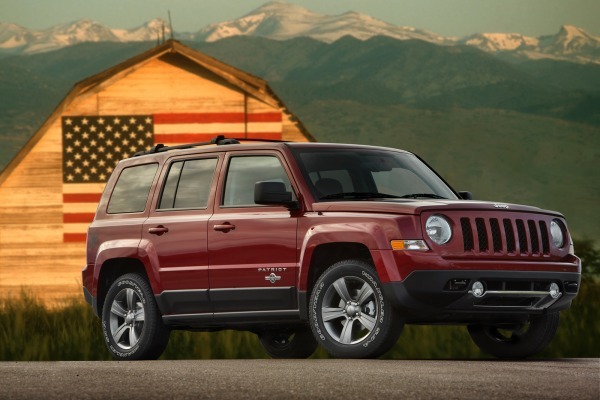 The compact 2013 Jeep Patriot is a vehicle you will be more than satisfied with. It gains off-road credibility when it is ordered with the Freedom Drive II with Off-Road Group package. This set of features comes with a four-wheel drive system that provides crawl capability, the ability to ford 19-inches of standing water, electronically-locking differentials, and of course skid plates to protect the underside of the truck. The 2013 Jeep® Patriot 4x2 offers up to 30 MPG and the 4x4 offers up to 28 MPG+. This advanced engineering technology helps Patriot attain up to 408 miles on a tank-full! On the technology front, Patriot includes an available Uconnect® 430N radio with Navigation by Garmin® and available Uconnect Voice Command with Bluetooth®. The available SiriusXM Travel Link+ features real-time gas prices, weather radar map, sports, traffic and movie schedules. The Jeep Patriot does not disappoint. Come test drive one today and see for yourself. The 2012 Chrysler Town & Country!